Comments: Foliage is dark purple, but appears to be black in most light situations in the garden. This selection is more of a specimen plant than are other mondos. Dark foliage provides excellent contrast with lighter foliaged plants. It is used as a border and as a ground cover. 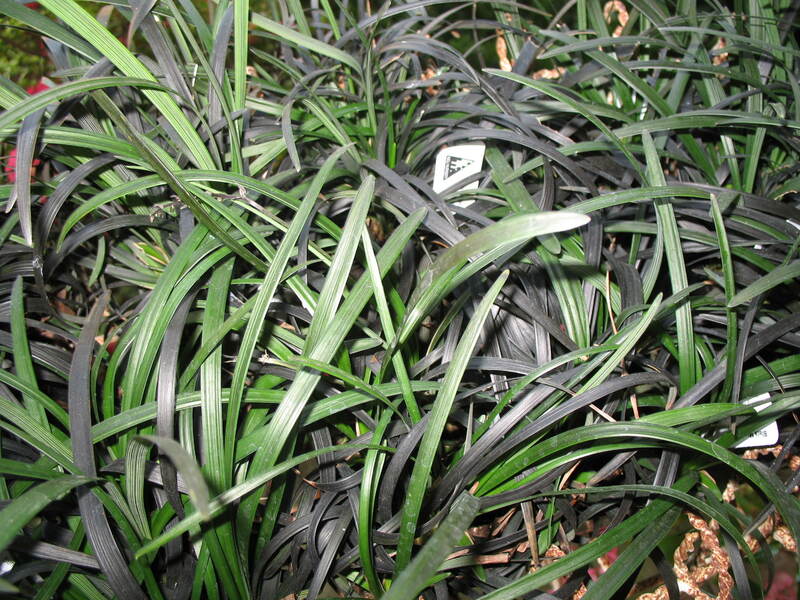 It is also listed as Ophiopogon planiscapus 'Nigrescens'.